Sumabe® Appetizer contains high potency Spirulina and Hawthorn delivering a concentrated source of essential amino acids (essential fatty acids). Sumabe® Appetizer is found to increase weight gain and correct anaemia in under nourished children due to its excellent nutritional quality. Spirulina contains 60% protein content, higher than meat and other produce traditionally sourced for their protein content per weight ratio. It can effectively be used to increase overall body mass during peak performance periods or whilst body building. 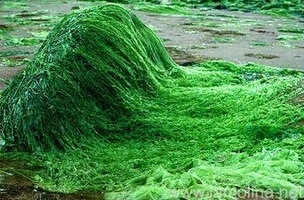 Spirulina is also an excellent source of vitamins and minerals and is beneficial for those suffering from Anaemia, Diabetes, Glaucoma, Hair loss, Liver disease, Pancreas inflammation, Peptic ulcers and Stress. 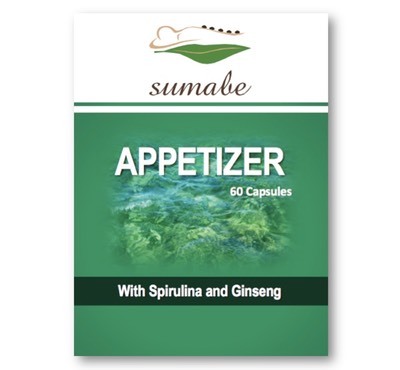 Sumabe® Appetizer contains Ginseng for its proven ability to aid the body during periods of physical or mental stress.